While small in numbers, the Chinese Muslim community in Malaysia has its own unique role to play in the country’s economic activity. 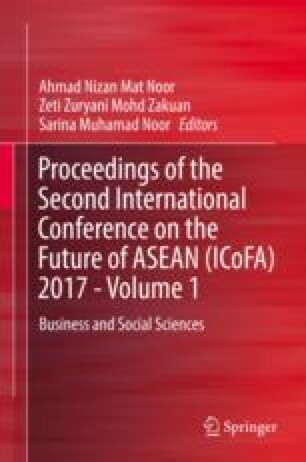 This study reviews the current state of economic involvement of the Chinese Muslim community in Malaysia with the aim of understanding the issues and challenges facing the community. In achieving this objective, the study conducts a critical review of the literature, focusing specifically on the various aspects of the community’s economic involvement. The study hopes to provide inputs to the relevant authorities and NGOs on further improving the socio-economic well-being of the Chinese Muslim community in Malaysia. This work is partially supported by the Contemporary Fiqh Research Unit (CFRU), Kulliyyah of Islamic Revealed Knowledge and Human Science and International Islamic University Malaysia. The authors also gratefully acknowledge the helpful comments and suggestions of the reviewers, which have improved the presentation. Clark, N. (2014). Education in Malaysia. Wenr world education news and reviews. http://wenr.wes.org/2014/12/education-in-malaysia. Accessed 24 May 2017. Klik. (2008). Masyarakat Cina di Malaysia. http://pmr.penerangan.gov.my/index.php/component/content/article/185-masyarakat-majmuk/3241-masyarakat-cina-di-malaysia.html. Accessed 24 May 2017. MACMA Kelantan. (2017). Amil Zakat MAIK. http://kelantan.macma.my/index.php/about-us/amil-zakat-maik/. Accessed 25 May 2017. National Statistics Department. (2015). https://www.dosm.gov.my/v1/index.php?r=column/ctwoByCat&parent_id. Raisyyah, R. Y. (2015). Felixia Yeap Official Fanpage. http://felixiayeap.blogspot.my/. Accessed 24 May 2017.